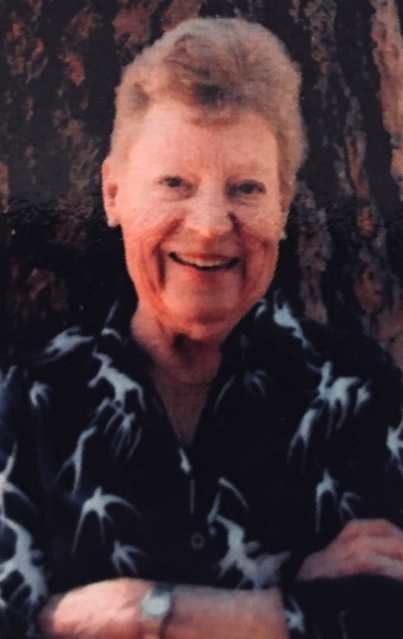 Terry Brotherton Terhune, age 77, passed peacefully on January 31, 2019 at OHSU Hospital with her family surrounding her. Born on March 14, 1941 in Walla Walla, Washington to Marion Frank & Geneva Brotherton. Married to Charles Terhune in 1965. Educated in Walla Walla, Northwestern University for BA in political science and history, MAT from Stanford University, and graduate certificate in gerontology from Oregon State University. Lived primarily in Oregon, including Corvallis and Sisters. Took great joy in traveling and was known for her passion for intellectual engagement and generosity of spirit. She was a born educator, teaching history to young adults in public and private schools. An avid reader, resulting in newspaper ink everywhere. Published author of Epistles of Friendship (2015) and instrumental in revitalizing the City of Fossil Public Library. Converted to Catholicism after many years of visiting Mt. Angel Abbey. Established a trust to support Mt. Angel seminarians in their education. Survived by husband Charles Terhune, children Chip, Elizabeth, and Catherine Terhune, grandchildren Ben and Grete Feldman and Morgan and Cole Terhune. Aunt to Beth Swanson, Kari Egger, Brad, Rob, and David Brotherton, Annie Ellingham, Kelly Petersen, John and Scott Terhune. Predeceased by brother William “Biff” Brotherton. The service will be private and for family only. Donations in Terry’s memory may be made to Fossil Educational Foundation, P.O. Box 206, Fossil, Oregon 97830. The family expresses their deep gratitude to the dedication and thoughtfulness of the OHSU caregivers.